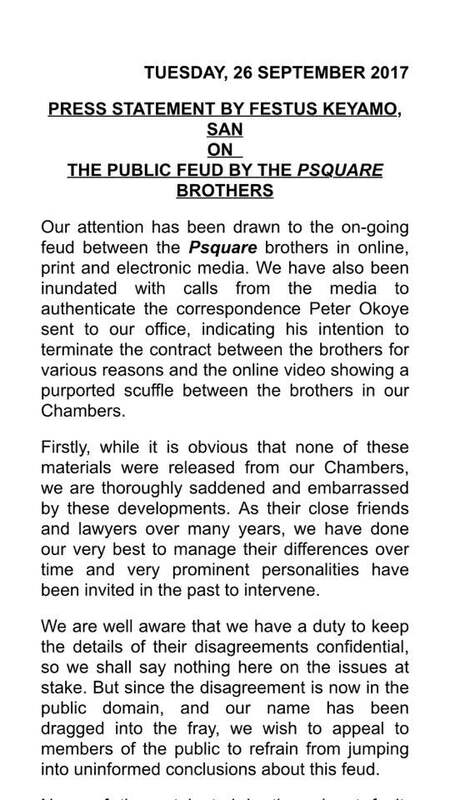 P-Square‘s lawyer, Festus Keyamo has released an official statement following the on-going feud and video of the Okoye brothers that surfaced online, where they nearly exchange blows in their lawyer’s office. 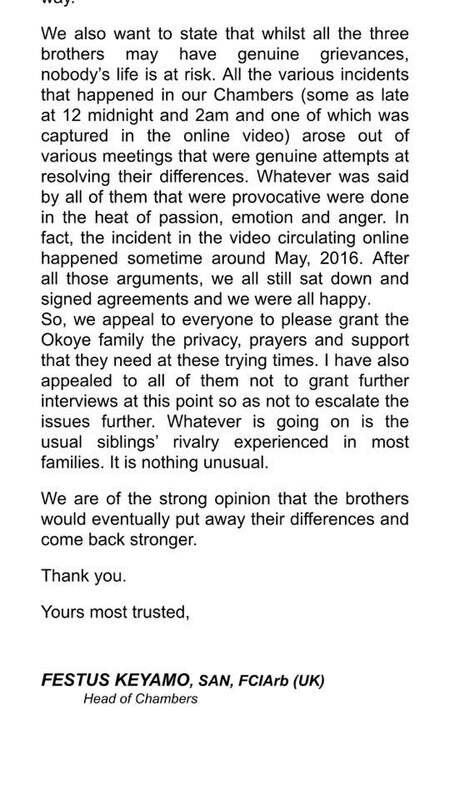 Kenyamo released the statement via his Facebook page, he revealed that the wives of the brothers have nothing to do the feud as they have kept a respectful distance from the ongoing drama.it is the usual sibling rivalry which happens in every family, and they are working on resolving the issue and settling their differences. He further said that the wives have never intervened. He said the current feud is the usual sibling rivalry which happens in every family, and they are working on resolving the issue and settling their differences. 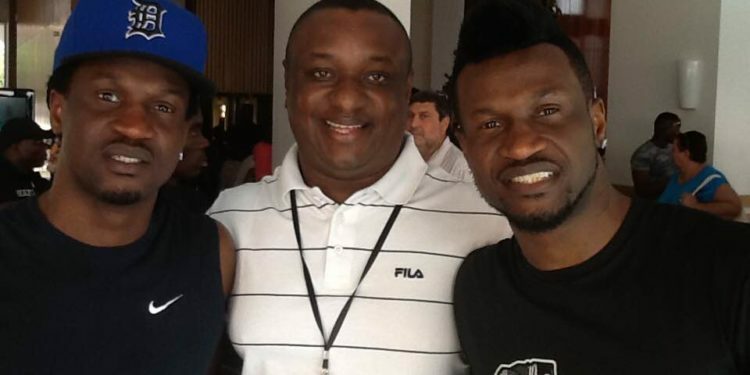 He also revealed that the video going viral online had been recorded since May 2016.